There is a fashion to produce smartphones headset from top companies had among manufacturers for a long time, and is reborn with a certain periodicity. Nokia has decided not to deviate from this tradition, and released to the market just two headsets, Nokia Purity and Purity HD, created in partnership with Monster. The latter is also known as the manufacturer of the popular headphone Beats by Dr. Dre, who once criticized for its high price, and the sound that this price did not respond. The older model Nokia Purity HD WH-930 is made in the form factor of overhead headphones. It stands pleasant to look at, but not eye-catching design. Headband of Nokia Purity HD WH-930 headphones made of plastic, lacquered on the outside, while the inside is a matte finish similar to the soft touch. External glossy surface quickly covered with fingerprints, but it is difficult to scratch. At the top of the inside of the headband has a special soft insert, which can reduce the pressure on the head and it is better to fix Nokia Purity HD WH-930. Size of Headset adjusted by increasing the arc, in addition, it can be folded for easy transport. The whole mechanism is made of sturdy metal parts and joints, not the slightest hint of the fact that over time it can deform or break. Earpads in Nokia Purity HD WH-930 are made of a nice soft material like the leatherette, they are well around the ears, but do not press on it. As a result, the headphones managed to combine a decent noise isolation and ease of use. Purity HD headset includes a wire, standard, and with a remote control, which contained a microphone. Unfortunately, to fully control only works with Windows Phone-smartphone Nokia, other devices use is restricted. The cord is flat and made of rubber, because of all this, it almost goes awry. Wire length is 1.3 meters, which is enough to put a smartphone in a pocket of jeans. With daily use of Nokia Purity HD WH-930 showed itself well, it’s easy to use and a headset, Moreover, it s weighing in at 180 grams and when wearing it for long cause little tiring. Model Nokia Purity WH-920 – this vacuum headphones, made in a similar style to the Purity HD. The main material of the body – the same plastic with glossy lacquered. Nokia Purity WH-920 will also be difficult to get scratch, due to a smaller size of these headphones, scratches and fingerprints if they appear; they are all still barely visible. Included with the Nokia Purity WH-920 are six sets of nozzles of different sizes, so choose the right size for you which would not be difficult. Nozzles themselves are made of soft rubber and do not cause discomfort during use, tightly secured in the ear. Because of this, insulation in Nokia Purity WH-920 is quite decent, though not up to the level of Purity HD. In any case, listen to music on the subway will not be a problem. Nokia Purity WH-920 Purity weight only 18 grams, if the right to pick up the pad, the headphones in your ears, you can simply forget. Nokia Purity HD WH-930 headphones are versatile, suitable for a variety of musical styles. They pass well as low and high frequencies, but the sound is not enough and bulk. 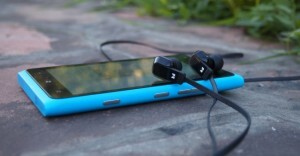 Besides, Nokia Purity HD WH-930 would not prevent the best study of low frequency. The diameter of the speaker in the headphones is 40 mm, and they are designed for a range of frequencies from 20 Hz to 20,000 Hz. With Nokia Purity WH-920 the situation is somewhat different. 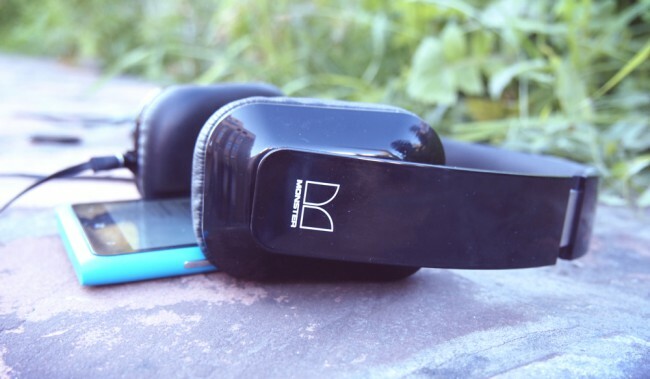 Headphones performing well at low frequencies and it seems that they are designed with the expectation of fans of rap or R & B. Given the long-term cooperation on Monster and Dr. Dre this may well be the case. But here with the mid-range Nokia Purity in the situation is much worse, for good bass headphones lose some tools, some lubricating composition, which also leads to loss of surround sound. Since the high frequencies in Purity, however, there is no problem; everything is at a good level. Both headsets Nokia Purity HD WH-930 and Nokia Purity WH-920 are positioned as high-end solutions in the segment, and, in general, given the quality of materials and packaging, they are. But, in fact, Purity and Purity HD is, first and foremost, a headset for Nokia with a decent sound. Therefore, for those users who need to not only listen, but to say, it can be an argument to buy. In the dry residue can also be noted that Nokia Purity and Purity HD sound is not perfect, but, in general, good and loud, but in a direct comparison with headphones in the same price range, they still would lose. Nokia Purity WH-920 whose price is around $60. This was all about the review of Nokia Purity HD WH-930 and Nokia Purity WH-920 headphones and their specifications.